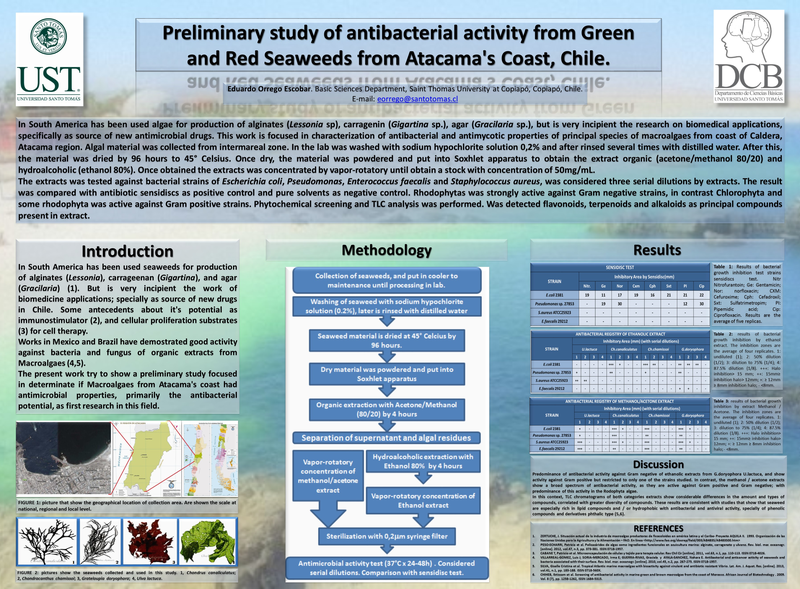 Cureus | Preliminary study of antibacterial activity from Green and Red Seaweeds from Atacama&#39;s Coast, Chile. Preliminary study of antibacterial activity from Green and Red Seaweeds from Atacama's Coast, Chile. In South America has been used algae for production of alginates (Lessonia sp), carragenin (Gigartina sp. ), agar (Gracilaria sp. 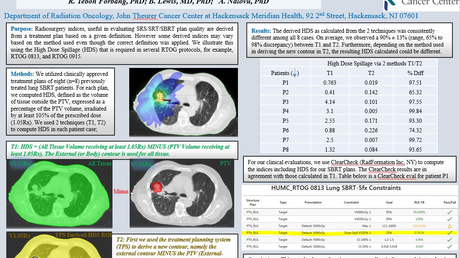 ), but is very incipient the research on biomedical applications, specifically as source of new antimicrobial drugs. This work is focused in characterization of antibacterial and antimycotic properties of principal species of macroalgaes from coast of Caldera, Atacama region. Algal material was collected from intermareal zone. In the lab was washed with sodium hypochlorite solution 0,2% and after rinsed several times with distilled water. After this, the material was dried by 96 hours to 45° Celsius. Once dry, the material was powdered and put into Soxhlet apparatus to obtain the extract organic (acetone/methanol 80/20) and hydroalcoholic (ethanol 80%). Once obtained the extracts was concentrated by vapor-rotatory until obtain a stock with concentration of 50mg/mL. The extracts was tested against bacterial strains of Escherichia coli, Pseudomonas, Enterococcus faecalis and Staphylococcus aureus, was considered three serial dilutions by extracts. 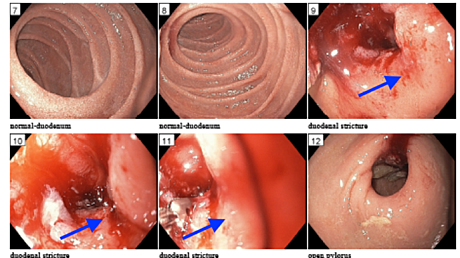 The result was compared with antibiotic sensidiscs as positive control and pure solvents as negative control. Rhodophytas was strongly active against Gram negative strains, in contrast Chlorophyta and some rhodophyta was active against Gram positive strains. Phytochemical screening and TLC analysis was performed. Was detected flavonoids, terpenoids and alkaloids as principal compounds present in extract.